A spirit called (for some reason) “Matilda” is said to haunt this building. She was seen by at least one witness, and others claim to have either felt her presence or actually seen paintings and other objects move without explanation. Allegedly at one point local news reporters came into the building and started asking questions to “Matilda,” at which point the lights started going on and off without any explanation. The prevailing theory is that she’s an artistic type, attracted to the art exhibits often housed in this building. LOl are you serious ? 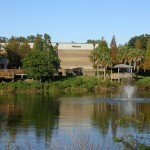 im having my sweet 16 there next year in May ! I have lived here long enough to remember that pond before anything was build on it. I used to fish in it. I can tell you, these stories are bunk. Next time call her Mildred. My great grandmother, Mildred Wenger, worked there, and she was an artist. She lived a short drive away, and her house was her canvas. She died in february of 2002 if I remember correctly. The story I head was that Matilda was a young woman in the 1960’s on her way to an art exhibit at the original Brandon library located on HWY60. Herself a young aspiring artist, she was wearing a blue dress and had a car full of her paintings to show at the exhibit when she was involved in a car accident and died at the scene. The erie thing is, patrons to the art exhibition at the library said Matilda showed up there that same night as was seen looking at the paintings! In the 1970s a new library was built on Robertson Ave. and Matilda was even seen there. Now at the newest and current location, Matilda is apparently still seen. Patrons have said that they have seen her in isles and others claim that painting in Center Place have been inexplicable moved and at times paintings hanging on walls the night before will be on the floor the next morning and no one had been there. There is another rumor that a young girl named Matilda had lived on the site of the present day Center Place sometime in the early 1900’s. She was the daughter of a chicken farmer that operated at that site. Somehow she died (disease it is believed) and she is the young (10 years old approximately) that can be seen in the library. 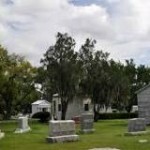 I think there is a book of florida haunts that mentions these stories, I read it years ago.